Soldier Force 9 RhinoDasher Vehicle Playset | Multicolour | Assault vehicle with active shooting missile launcher and mobile machine guns. 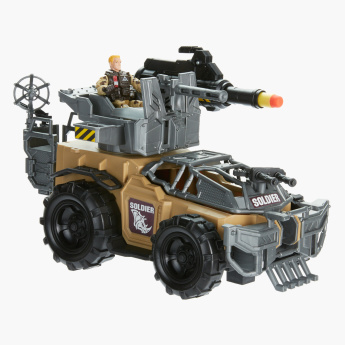 Encourage role play and imagination skills in your child by getting this excellent soldier toy set. 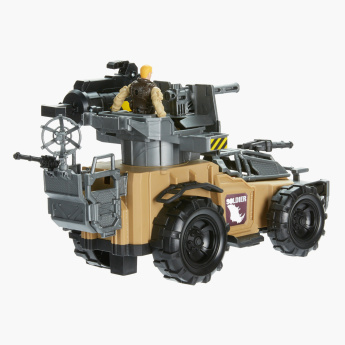 Consisting of an assault vehicle with active shooting missile launcher and mobile machine guns, this set also has a rotating dome, target location and other combat accessories. 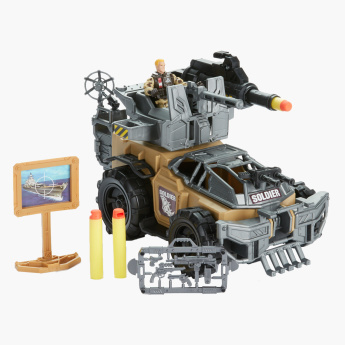 The 10 cm action figure, vehicle and other accessories add more fun to the play session. 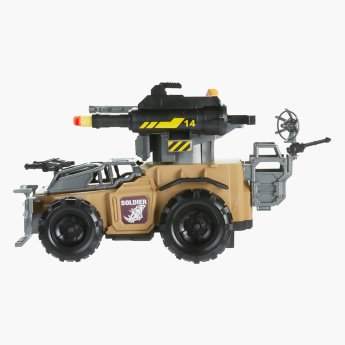 Feature 1 : Assault vehicle with active shooting missile launcher and mobile machine guns. Feature 3 : Encourages role play and imagination skills in children.